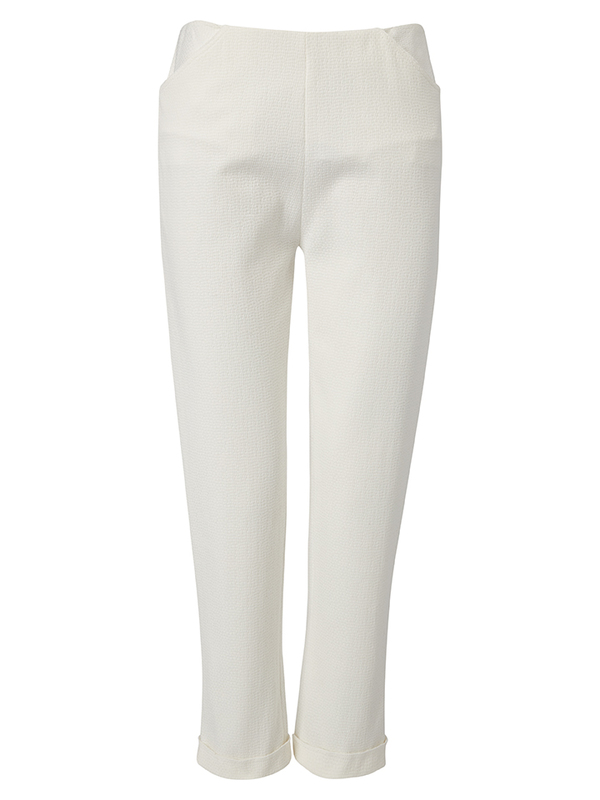 Smart casual cropped trouser in a textured cotton blend fabric. Angled pocket to flatter the hip and back zip fastening to give a smooth finish to the waist. Trouser finished with a neat turn back cuff. Wear with dot shirt or picnic shirt for the weekend or Nancy Jacket for a smart look.